The youth course of our partner school Apollo, is designed for students aged between 11 and 17 years. 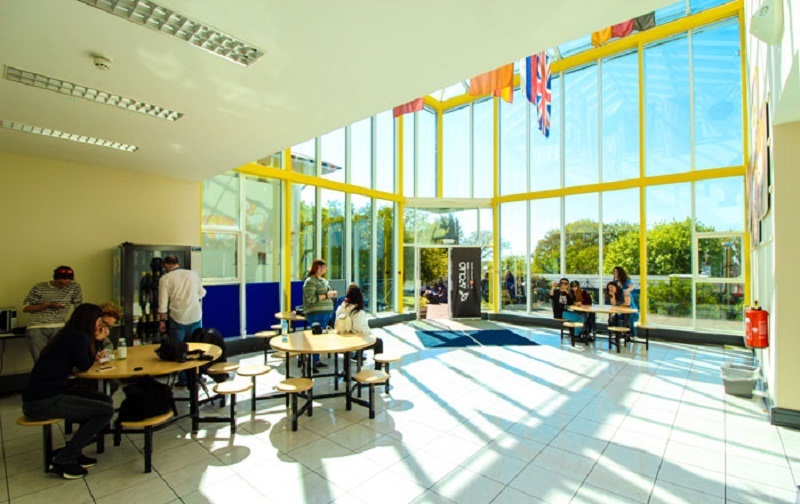 The Junior Summer Centre is based in Sutton Park School, an exclusive private school with excellent facilities (sports fields, tennis and basketball courts, and outdoor swimming pool), situated 15 minutes from Dublin Airport. The centre is located on the beautiful Howth Peninsula on the north side of Dublin Bay and close to the traditional fishing village of Howth. Lessons: 15 hours English language tuition per week in mixed nationality classes, in groups of a maximum of 15 students. Accommodation: host family in double/triple rooms, sharing with a student of a different nationality. Full board (breakfast and dinner with the host family, hot lunch at school). Supervision: 24 hours/ 7 days a week. Curfew: Students aged 14 and under staying in a host family are not permitted out in the evening after dinnerStudents aged 15-17 are permitted to go out in the area of their host family only in the evenings and must be home before 22.00. Airport transfer: not included (compulsory service if students travel alone), please see rates on our online price list. The teaching programme is very effective as well as fun, as it combines extremely communicative classes of general English with music, dance and theatrical activities. It's a very interactive programme supervised by highly professional teachers, who motivate the students to participate and to speak English. In addition to the 15 lessons per week, students also have the possibility to select 5 hours’ optional extra tuition per week (instead of 2 activities) completely free of charge! Minimum age is 11 years . The price stated here is for an airport transfer on both arrival and departure at the airport of Dublin (€ 70 per way). Airport transfers are obligatory for participants in the youth course when none of the parents travels with him/her. We offer accommodation with very pleasant and welcoming Dublin families. This is a great opportunity to fully embrace the Irish culture. Full board accommodation (breakfast and dinner with the host family, hot lunch at school) is included. Bed linen is provided, but you should bring your own towels. The accommodation is in twin/ triple rooms, shared with students of a different nationality.